Unfortunately, one of the pitfalls of becoming a so-called 'public' figure doing stuff on TV and in magazines is that you find all sorts of very interesting things written about yourself and your work. Things that often aren't true at all! Things that are myths. I love dispelling whether it's diet and health myths, weight loss myths, food and eating myths, exercise myths or just nonsense that's been written about me. Now maybe, just maybe there is another Cari Corbet-Owen out there who looks just like me...but until I know that for sure here's some info to correct any mis-perceptions. I was recently dismayed to receive a copy of a brochure of 'class schedules' in which it was advertised that I would be running an 8-week Ditch diets and Live lite! course which contained a blatant untruth. The very last line read: "She has also appeared on the 'Oprah' show." and then (even more dismaying) in small letters under the picture is said: "Picture and quote from website." That's not true: The Cari Corbet-Owen I know has NOT been on the Oprah show and nor was that last line "She has also appeared on the 'Oprah"show" taken from any website I've had anything to do with. What IS true relative to Oprah? 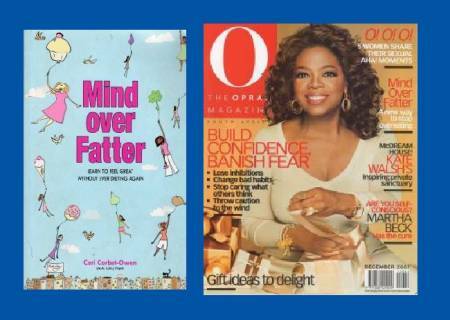 An extract from my second book ('Mind over Fatter - learn to feel great without ever dieting again') which I was commissioned to write by Oshun Publishers, was published in the issue pictured here, their December 2007 edition. And in a strange and rather amazing way, Oprah was on the 'writing team' of people who were intimately involved in helping me write this book. I've written about how this incredible help in the foreword. I have had articles published in the 'O magazine' and been used as a so-called 'expert source' and quoted for articles in their magazine fairly often. 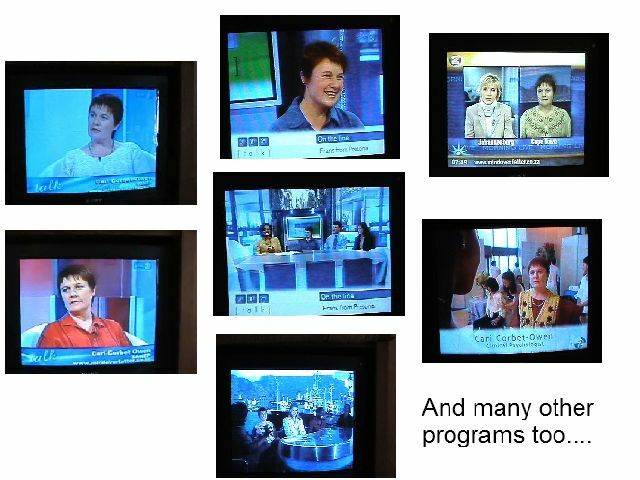 I've also been told by too many people to count that I should have been on Oprah. You can download the chapter about my personal journey here. 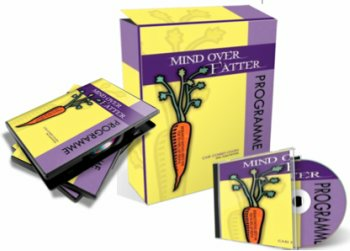 And if you want an overview of the Mind over Fatter roadmap you'll find it here. 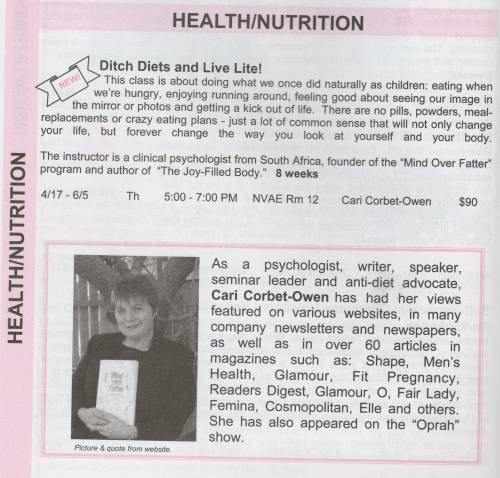 It's simply amazing how many journalists and TV/radio producers insist (despite my correcting them and even sending them my resume) that Cari Corbet-Owen is a dietican or nutrionalist. I am NOT a dietican or nutritionalist. I'm a South African Clinical PSYCHOLOGIST who had a special passion about food, eating and body issues. As you can see from this picture sometimes they get it right, other times they don't. The Cari Corbet-Owen I know was the Consulting Psychologist to SANEP - the South African Nutrition Experts Panel. But that doesn't make me a dietican! To be truthful, I've read so many diet books and books on nutrition that I hope I have a fairly good working knowledge about food and nutrition. As far as I'm concerned the whole 'food as medicine' movement is just one more way of helping us develop eating disorders like orthorexia. I'm so tired of the ever changing views on what's good and what's bad. The ever-changing nutritional value of food is a minefield that the Cari Corbet-Owen I know is most definitely NOT qualified to speak about. even so-called healthy food isn't always. But, I'm really not one bit interested in calorie counts, or micro-nutrients and since I read research on how inaccurate food labels are, I don't even bother with those. I'm also not interested in eating perfectly. I'm simply interested in having a normal relationship with food - one that isn't filled with angst - but one that is filled with en-joy-ment and ease. 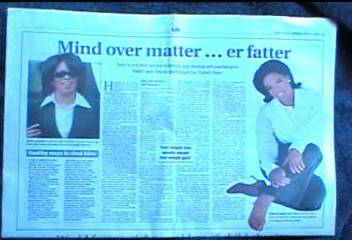 In 2007 a journalist writing for an Afrikaans paper (that's one of our 11 official languages in South Africa) wrote that the Mind over Fatter Programme had been approved by the Science Institute of South Africa. The Cari Corbet-Owen I look at every day in my mirror has never made such a claim. "I'd also like to thank the Sports Science Institute in Cape Town for verifying and supplying me with information and Prof. Tessa van der Merwe MBCHB (Honorary secretary for the International Association for study of Obesity) for reading chapter 21 (which is about basic food guidelines) and declaring it "scientifically sound."